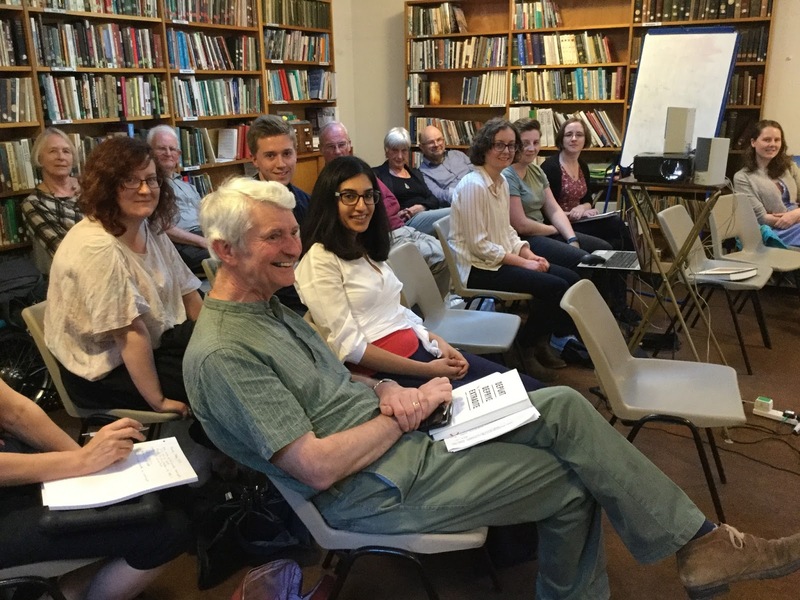 Nisha Kapoor, a lecturer in sociology at the University of York, was the guest speaker at our monthly meeting in May. She showed two short films (The Eyes of Aliyah and Aaden & the Spiders) and spoke with us about the breadth of the Terrorism Act and unfair ways in which the authorities apply it without due process. Nisha has written a book that was published this year. She kindly brought some copies to our meeting. Its name is Deport Deprive Extradite. Its subtitle is 21st Century State Extremism. Our next monthly meeting takes place on Tuesday 12 June at the usual venue - York Friends Meeting House, Friargate, York YO1 9RL. We do not have a guest speaker so the meeting starts at 7.30 pm. Everyone is welcome to attend. Before then, we attend York Pride on Saturday 9 June. We hope to see you there.